Easily build an interface, document the patterns, and share the code. As a design consultant, I regularly hear complaints from clients about slight design styling issues and trying to keep patterns in sync across multiple applications. At Slalom Consulting in Dallas, we help clients solve this problem through living style guides or Pattern Libraries. We are believers in the modular design process, but when it came time to try and do this for dozens of clients each year, we surveyed the landscape and simply couldn’t find a tool that met our needs. So we took a step back and laid out our ideal process. PatternPack is officially a 1.0 release. At Slalom, we have used the tool to power client websites for some time. Clients, designers, and developers alike love it because of the ease with which you can update and maintain the library. We have a basic example library available on GitHub if you want to check out how it works. This project is already configured for use and is a great place to get started with PatternPack. If you’d rather see much of this in video form, check out Fight the Zombie Pattern Library from the Big Design Conference 2015. PatternPack doesn’t provide much styling by default. This is intentional. The site is built for ease of development and includes livereload and auto-compilation of all your assets. Simply update your markdown and CSS files and automatically see your changes reflected in the browser. Without a doubt, the most powerful feature of PatternPack is it’s ability to share UI code and keep your pattern library in sync with one or more applications. PatternPack outputs an npm or bower module that you can add to any project as easily as Bootstrap or jQuery. Importing your library is as easy as npm or bower install. If you publish your library as a public npm module, then just install that. If it’s private, then you can point at a Git repository. Our design and development teams are now leaving our clients with a maintainable design system that sets them up for success even after we’re gone. As a project matures and the design system becomes more robust, we’re able to go straight from whiteboard sketch to coded prototype because it’s easy as stacking lego bricks to test out a concept. 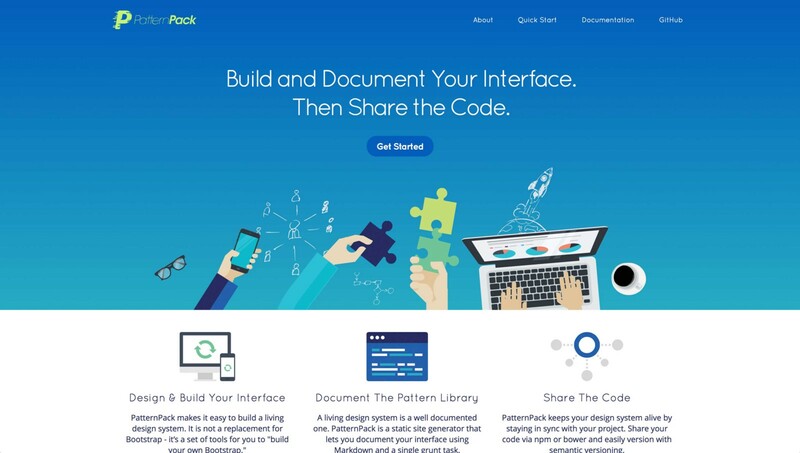 We hope that you’ll find PatternPack just as useful in your product development process. Check out the official website and GitHub page for more resources. You can also follow @patternpack on Twitter. 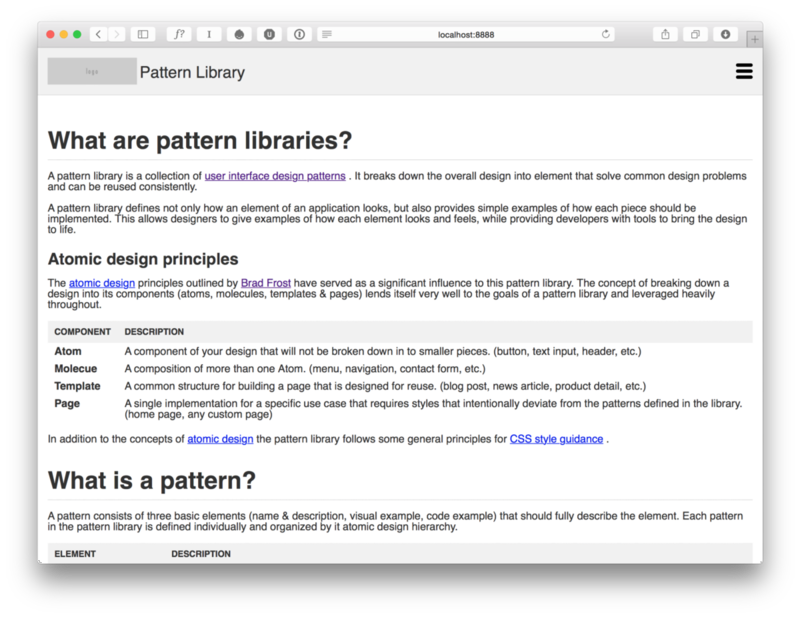 PatternPack was conceived and built by John Gully and Marcelo Somers and is licensed under an MIT license. Husband, Dad, and Catholic. User Experience Designer & Developer. Co-creator of PatternPack.